Cellulite is something that nearly all women have, but in a world so obsessed with airbrushing and “perfection” cellulite can seem unattractive and unhealthy. 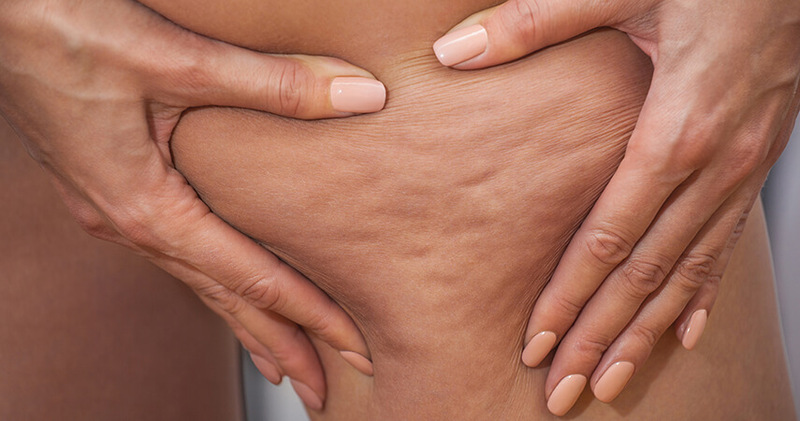 If you’re feeling self-conscious about your cellulite, you definitely aren’t alone. While there is no way to get rid of it completely, you can reduce your cellulite and minimize its appearance for a smoother look. Cellulite is fat beneath your skin that pushes against the tissue, causing your skin to look lumpy and uneven. Both men and women can get cellulite, although it is much more common in women. It can affect all body types, no matter whether you’re heavy or slight. There are many causes of cellulite, however most cellulite is genetic and how much you have really depends on those genes. If you have a lot of cellulite you will most likely have a close family member who does, too. While genetics are the main cause, being overweight, having a poor diet and living a sedentary lifestyle can all increase cellulite. Hormones and age can also play a factor — we are more likely to develop cellulite as we age. Cellulite is a fat, and so exercises to burn fat can help reduce the appearance of cellulite. Getting your body fat percentage down is a long process, but it’s the most effective way to minimize the look of cellulite. A combination of cardio, weight training and stretching will help you lost fat and tone your muscles, which will reduce the appearance of cellulite. Reducing cellulite isn’t all about exercise — diet is another huge factor. Avoiding processed foods that contain high levels of salt and fat is key. Salt allows fat cells to swell, making cellulite much more noticeable. Instead of eating heavily processed foods, eat lean meats, healthy fats and whole grains, which will help to remove waste and toxins and promote healthy cell growth. It’s also key that you stay hydrated. Dehydration stops the body from removing excess fats and waste, and instead stores them beneath the skin. Keeping hydrated will ensure fats are flushed out and cellulite is minimized, so make sure you have those eight glasses of water a day! Another excuse to enjoy a pampering massage! 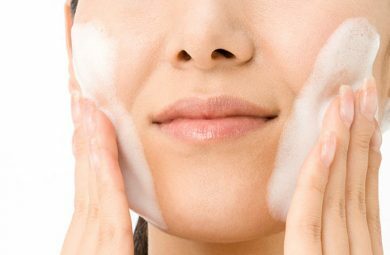 Stimulating circulation will help break down and dissolve the fatty deposits and fluids beneath the skin, leaving skin much smoother and softer. Exfoliating using a coffee scrub will also help, as the caffeine tightens and firms skin. 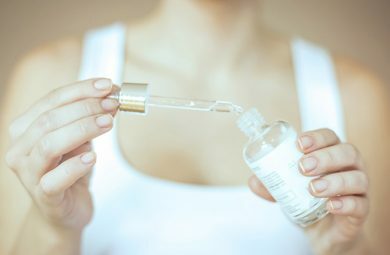 There are plenty of anti-cellulite creams and serums available on the market and it’s easy to be skeptical about the results they will deliver. They won’t perform miracles, but they can help rehydrate and strengthen skin for a tighter and smoother appearance. Again, look out for products containing caffeine as these are particularly effective for minimizing the appearance of cellulite. Cellulite is much less noticeable on darker skin, so if you have a darker complexion count yourself lucky! Unfortunately if you have fair skin you will probably notice every mark and bump and cellulite will be a lot more noticeable. Getting a natural-looking tan using a self-tanner or having a spray tan is a great way to camouflage the appearance of cellulite. Most importantly, don’t let your cellulite rule your life. 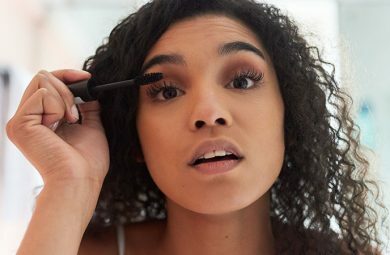 With an estimated 90 percent of women having cellulite, there really is no need to be self-conscious — you’re totally normal! Remember that all your favourite celebrities and icons probably have cellulite, too, and embrace it. Feel absolutely fabulous in your new bikini, and try not to worry too much about a little thing like cellulite.